Exhibition catalogue 2014 – Galerie des Tuiliers – Lyon. 76 pages. Prefaced by Gérard-Georges Lemaire. 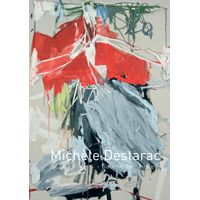 The artist Michèle Destarac, who started her career at the age of 20 ans under the aegis ogJean Pollak, director of the renowned Galerie Ariel in Paris, is now collected all over the world, by international museums, and many public and private collections.